Our successful marketing campaign with JuicyStar07 on YouTube, introduced us to the power of video for online marketing and Old Spice's recent efforts highlighted just how powerful it can be. So we're looking to do some more marketing work with video for Shoes of Prey. Jodie and I have been putting together some videos for our Shoes of Prey YouTube channel but we're pretty amateur videographers and editors so we're keen to seek the help of a video/film student who might be looking to gain some additional experience. Like this 22michaels blog, we want to regularly post 2-3 videos a week to our YouTube channel. The videos will likely range in length from 1-5mins. Regular posting helps build an audience as people can get into the habit of visiting your site/channel every few days to see something new. 1. Be interesting to our YouTube and Shoes of Prey blog audience to help spread brand awareness and engagement. 2. Assist us in improving the conversion rate on our website by giving customers more confidence in our product and assistance in selecting which of their shoe designs to purchase. Videos showcasing our most popular leathers and materials. We want to show our customers that the leathers we use are high quality, and give them ideas for how to use them in shoe designs. We'd like to use these videos on the Shoes of Prey website to help give customers confidence in our product. Videos that focus on particular design options on our site. For example our ankle boots, or our new silk ruffles. In these videos Jodie would provide ideas on how to best design shoes in these styles, and what outfits they can be worn with. Videos that focus on particular niches like wedding shoes, bridesmaid shoes, office shoes etc. 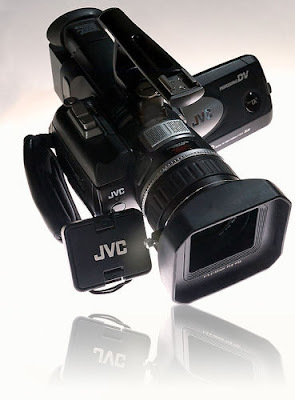 We'd love to do some video testimonials with some of our customers. Videos highlighting the shoes from our ready made collection and showing outfits they go well with. Shoes of the week style videos showing some of the great shoes that were designed by our customers each week. Videos highlighting particular trends in colours and shoe styles that are popular each season. Jodie will likely continue to host the videos, but there are some really interesting video and editing techniques on some of the popular YouTube channels so we'd like to experiment and see what engages users the most. This could be interesting for a student to help us experiment with. We'd love to have someone help us out 1-2 days a week for a semester or even longer if they were keen and it was working out well. Alternatively if they wanted to help us out more over a holiday period that works for us too. We're particularly keen for someone to take care of filming and editing the videos, but if they want to also help with planning, story boarding, scripting and measuring the impact of the videos we'd love assistance with that too, but if that's not you're thing we can take care of those areas. We have a Canon 550D with a 2 high quality lenses and a fancy Rode microphone which we think serves us well for great YouTube videos, but if you have access to better equipment, awesome. We're keen to try working with an intern for this role, so it won't be a paid position, however if you like women's shoes we can definitely offer some of those in return for your services! We hope it's also an interesting position. Web video is becoming more and more popular and we're happy to tailor the role so that you're learning as much as possible from it. If we can tie it in with University or College assignments in any way or if it helps out with credit for your course we're more than happy to do what we can to help out there. Hi Libor, interesting. I haven't quite got my mind around why a lot of websites use a video solution like this. Aside from being free, the great thing about YouTube is it's also a social network. Upload your videos there and a ton of people discover it through search (YouTube is the world's second largest search engine behind Google) and all the other ways videos can go viral on YouTube, like recommended videos etc. I would have thought using something like Kaltura might give us a bit more control and Analytics regarding our video content, but the downsides are less people are going to discover it and it will cost money. Perhaps it's good for someone who wants to sell their video content, but we want anyone and everyone to see it to help us build brand awareness. If you know more about why others and why we should use a platform like Kaltura I'd be interested to learn more. Thanks for the suggestion Ian, Jodie's chatting to him now!